"Wonderful way for small business owners to get things up and running"
One on one marketing coach has been invaluable for Flourish. Each session with Mike has provided me with a better understanding of next steps I need to take and why. Even with an MBA and an extensive business background, this has been helpful for me in terms of learning aspects of search engine optimization and social media marketing. If I had to pick something, I would say that I wish the monthly maintenance fee for the website was a bit less, but other than that, nothing. a scheduling option for using local spaces to schedule meetings...almost like a virtual meeting room scheduler. I know there is a website that offers professional meeting spaces that you can book based on the location and requirements for the meeting....would love to be able to tap in to something like that through my scheduler or roll my scheduler and a meeting location planner in to my dashboard. Marketing, growing client base, managing leads and understanding which marketing tools are best serving my business. "The Best Investment for my Business"
I enjoy working with my marketing coach, Mike Flynn. When we first started working together, he took the time to understand my specific business. He gives me actionable steps to help improve SEO for my website; advises me on running Google, Facebook and Instagram ads to promote my business; and offers tips on how to improve email messaging to increase engagement. Overall, Mike has made my life easier. I truly appreciate the opportunity to work with him on my business. I was excited about the ability to send out email blasts from the Thrivehive platform. However, because I am unable to customize messages in the way that I would like, I continue to use MailChimp. In addition, the platform does not allow me to shorten tracked links. So after I create a tracked link in Thrivehive, I shorten it using bitly. Also, I set up social posts through Hootsuite because of the ability to schedule Instagram and Linkedin posts. I signed up for ThriveHive because I needed to save time. I wanted to automate my marketing efforts and find a better way to track and respond to leads. I've been using the platform since December 2017 and my leads have increased from around 10 to 40 per month. I also love that I was able to categorize all of my contacts and target email messages to the appropriate group. I like their knowledge about making the most out of the internet and social media platforms. Melissa, who is my coach, is very helpful in guiding me through writing blogs, and tightening up my website. She's patient with me as I'm not a social media type. There's nothing to dislike about ThriveHive. They really do a very good job helping small to medium sized companies become better at marketing. I'm a professional commercial photographer. Like any other business, I need a steady stream of new prospects and clients. Not being a social media type at all, ThriveHive is helping me realize the value of social media outlets, and guiding me through the maze. "SEO, content, and marketing-speak in easy-to-undertstand, bite size pieces." Working with Thrive Hive is the best thing I've done for my company. Mike has kept me focus on the big goals, broken down concepts into easy-to-understand and applicable-to-my-business pieces that have increased my understanding and confidence. I see new results each week. This is the perfect marketing vehicle for small businesses. I can't think of a thing I dislike. Maybe that I can't hire them as my in-house team. The value of the marketing coach far exceeds my expectations. Mike is personable, interested, and a great teacher. SEO, content, blogging, all with a focus to reach the industry and generate business. I receive new contacts each week from others in the industry reaching out to me for direction on how to grow their business as a risk manager. "Finally, someone who does what they say they will!" Our coach, Mike is outstanding. His guidance and suggestions have produced results. He was even able to help us recover control of our Google business listing. Other companies have made many promises and have simply failed to deliver or even just follow up. I honestly cannot think of anything to dislike about any of our interactions with anyone at ThriveHive. If you do need one, maybe they could pay me instead? Just kidding. We have used them to increase our presence on the web mostly at this point. We have been coached on how to bring all our efforts together in a more concentrated marketing effort. Nothing quite as rewarding as seeing a lead come in from ThriveHive. "Thrivehive is a Virtual IT Department for my Small Business"
I am the CEO of Financial COMFORT Consulting. Our primary role is providing direct services to entrepreneurs and developing solutions for personal finance. We are a microenterprise with 5 or fewer employees and do not have the capacity to have an IT Department. Our website was designed and is hosted through ThriveHive. Whenever I need updates, I call them directly and they have been consistently gracious, providing superior customer service and quality work. Although, they are more than 700 miles away from our office, I feel like when I call them they are as close as the office next door. I have never had to make repeat calls either. They understand what I need and get it done precisely. They also provide me with a ton of resources to assist me in my marketing endeavors. I love everything from the price to the quality of service. I have no dislikes. It will be the best move for your small business endeavors! It is like having a virtual IT and Marketing department that enables you to feel empowered and look professional. Marketing is an on-going opportunity for small business owners. With the help of the resources and services of ThriveHive it has been very optimistic. "Incredibly Customized and Attentive Service"
The ThriveHive platform is an invaluable and robust tool that has truly streamlined many of our marketing efforts, which has saved us time and money. The regular one-on-one coaching that I've received with Mike as part of the tandem plan has upped our marketing game immensely. I like pretty much everything about ThriveHIve. Occasionally the platform itself can be a little "buggy," but it's nothing that hitting Refresh can't solve. Use as much of the platform as you can and utilize the marketing coaching. It's well worth the investment, but only if you take advantage of as much as it has to offer. With a small staff and limited resources, we don't always have the time to generate fresh new ideas to market our services, and Mike has brought that to the table through the marketing coaching. We have seen an increase in our revenue since we started using ThriveHive, and we're saving time and money doing it. Nothing to complain about at all at this time. They have been, for me, to be the most sincere and straight-forward marketing + company. "A great team, very efficient!" I have worked with ThriveHive for a number of years and have had dealings with multiple people. Everyone I have worked with has been extremely personable and helpful. As a small business owner, I seek their suggestions on various topics and they always have fantastic ideas. Being from Boston it is great to know personally of another great company locally and be able to have such a great experience. They keep cost very minimal which also shows a commitment to their clients and their output is top notch. I have recommended them to other small businesses and will continue to do so! I can't think of any dislikes. With all of my experience with them I can't really think of anything! I realized though them the benefits they can offer if I stepped up how I was using them. I saw examples of their work that I loved and they helped me get there. I like that I have a marketing "team" that I can bounce ideas off of, and more importantly, learn from their experiences. I'm great at problem-solving, hence our line of adhesive frames, but not good at marketing at all. Melissa, my designated account rep, is insightful and willing to teach so that I can progress and build my business. Not sure on this one. I've only been working with ThriveHive for a couple of months. I will say that I wish the software were usable for me. I use Mailchimp, so I haven't really been able to gain any growth with the software. Use the marketing consulting services even if the software isn't what you're looking for! Marketing - getting the word out about our products. I saw an increase in Amazon sales of over 700% in just the first month. Now to keep that growth going and add to it is the goal! "Great service that provides true ROI"
As a new gym in the Omaha area, our challenge was trying to gain the required analytics to determine the strength of our online presence and effectiveness in advertising. ThriveHive provided us this ability and truly gave us a crash course to get things moving. The service is simple to use, the monthly consult with the marketing coach is always of value, and when needed, support is usually very quick to address any questions. The editor is simple but small refinements have a learning curve. There is not a reference guide for quick answers to questions so you must reach out to their support department. Minor complaint. Only other complaint is the dashboard seems to occasionally list items that have been dismissed but other account users. Again, very minor. For small business users without a dedicated marketing team, ThriveHive is certainly worth a look. As a small business owner/operator, this has become a valuable piece of our day to day operations. New website with much improved SEO - ThriveHive created us a new website for a very affordable rate. We have better analytics and saw immediate improvement with SEO. Advertising analytics - regardless of marketing media, we can assign unique tracking methods to evaluate the effectiveness of the media and/or target audience as it relates specifically to lead generation. Lead management - we can know manage marketing to gain new leads, track those leads, contact leads, and overall management the process in converting to clients. One stop shop - ThriveHive provides us a one stop shop in communicating to both prospects and current clients whether through email, website or blog. Certainly simplifies digital content management. "Best Company for Website Design. Period." The team at ThriveHive are incredibly professional and know web design. I signed up for the marketing consultation as well and it is worth way more than they are charging. With the rules for SEO changing constantly it is nice to know I have a team that keeps up with that so I don't have to. The web designs offered were many and varied and the designer took the time to learn my business and understand what I was trying to accomplish before starting to work. The sales team was very honest and upfront and happy to answer my many questions. I probably reviewed 20 companies before deciding on ThriveHive. I rarely give reviews but this company deserves a serious look as they knocked it out of the park for me. Our previous website was out of date and not mobile optimized. We are now able to engage with our customers and expand our social media presence. "Thank you to ThriveHive for their business and marketing coaching! My business is growing steadily." 1) My business is growing and my Online presence is competitive. I’ve learned a lot about SEO, writing content, blogging and social media. My marketing coach is very accessible and I get solid recommendations of what I can do to build my business. The new website design was a difficult process. I recommend that you stick with it during the first 6 months as you’re implementing their suggestions. I got cold feet a few times. Admittedly, I was looking for a short term fix when I needed a long term answer. My business always has peaks and valleys so that wasn’t new. They stayed on me about getting reviews and blogging. Once I started to consistently doing these things, in addition to other suggestions, my business turned a corner. I feel strongly enough that I recommended that my sister work with them. They’re doing a great job! Before I started working with Thrivehive I was worried that my industry had become saturated.. Over time I had always been busy enough that I didn’t need to market. Since 2008, literally, an avalanch of new practioners have entered my profession. I also worried that I wouldn't able to continue to stay competitive in today’s high tech world with a whole new generation entering my industry. I was anxious that my website and social media marketing efforts were inadequate. I have to admit I was scared. A year and 2 months later, I have the business I had before the 2008 recession. Through monthly coaching calls with one of the founders of the company, Adam Blake, I’ve learned a lot about how to successfully maintain both my website and social media. I’m not afraid anymore about being able stay competive in a crowded field. My sister is also a customer, and she is just as happy as I am. Thanks so much to Adam Blake and ThriveHive! Customer service is ThriveHive's strong point. It's easy to set up a website - from picking out a theme - through color and font. There is so much help. The marketing plan is easy to follow. Any questions are answered immediately and fully. The people at ThriveHiive are knowledgeable, friendly, and helpful. I am so happy to have ThriveHive. There really isn't anything I dislike. Hmmmm - I need 40 characters here so I'll repeat myself. There really isn't anything I dislike. I would wholeheartedly recommend ThriveHive to anyone and everyone in a small business. It's an easy decision. They have nothing to lose and everything to gain. Business owners should spend their time in their business not trying to figure all of this out. I had no plan for marketing so this is keeping my on target and moving when it comes to online and offline marketing. There is no "forgetting" to do something - it's right there in the plan. Any time I want to add or change my website to keep current with my services - it's just a few clicks away and there is immediate help if I need it. (I always need it.) The phone capture is amazing - especially the recordings. We now convert 90% of our phone captures to great customers. The ThriveHive blog is constantly giving me new, useful, relevant information that is easy to use and timely. This is, by far, the most comprehensive marketing solution for small businesses that I have ever encountered. "My relationship with ThriveHive has been life changing. " I really enjoy the tailored approach to improving my marketing efforts. The one on one coaching model keeps me motivated and keeps my efforts and objectives fresh. You know, I really thought about this question and there is just no dislike worth entering here. Some sessions are more productive than others but I always come away with one or two good ideas to work on. Do not hesitate to ask for a new coach if you do not feel a connection. They are super accommodating and responsive. This product has really improved my marketing reach. I have consistently climbed up the Google rankings and am usually in the top three organic rankings for real estate attorneys . For the first time ever I am starting to get business beyond my normal word of mouth network. The number of people that call and inform me that they found me online is incredible. My business coach, Melissa, has provided me with great advice, support and knowledge which has helped my business to grow and thrive. She has taught me so much. I highly recommend ThriveHive to anyone who wants to expand their business. I would love to have an in-person experience. It's invaluable to learn from the knowledgeable business coaches. They teach you how to run and grow your business. I am learning how to grow my business. I have realized an increase in traffic and appointments as a direct result of the coaching from ThriveHive. "Thrive Hive can help small businesses navigate through the social media sea!!!" I love their one on one coaching calls. These are worth there value by themselves!!! There is nothing I really dislike about Thrivehive. If you are a small business in need of guidance and support in marketing your company... they are outstanding and I highly recommend giving them a try!!! I have been extremely pleased with their guidance and recommendations. How to be "searchable and findable" by your future customers/new clients optimizing SEO, email, and social media. We have seen increased traffic to our website, increased inquiries, and more new clients. "Perfect marketing solution for a small business"
I had long known that the biggest shortcoming in my business model was a lack of a formal marketing plan. Like many sole proprietors, I tend to do everything myself and while my expertise in my industry is deep, I do not have a marketing background. My marketing coach at ThriveHive is the expert I needed. While the hand holding is certainly needed to point me in the right direction, I believe being held accountable to someone else is a huge part of what makes me follow up on my various marketing projects. This is a mandatory field so I will type at least forty characters. Reach out to them ASAP. They will ask you many questions to learn about your business and will give you some suggestions right away. The service I offer is top notch, but I have always struggled with how to make my services known to more people. Since I have been a ThriveHive client, more people have found me in google searches due to my increased SEO. The customer service support is beyond measure, the best I have ever experienced. The fact that every time I call, I get a representative who is truly concerned about my website needs, and willing to help me through the entire process is especially important to me. Due to a brain injury from an accident that effected my memory, I probably need to call on them more often than most, but each time they are helpful and patient. After a previous experience with a different web hosting company, I not only had serious issues with security, but I never made a profit in almost 3 years. With ThriveHive web hosting, even though the base fee was slightly higher, I made a profit in my first year. I highly recommend ThriveHive.com as your web hosting company, whether it is for a basic needs small business website, or for your large corporation. Their security and customer service excels above all others in my opinion. I must be honest, it will be difficult to come up with 40 characters stating what I dislike about my web hosting company ThriveHive.com because there is simply nothing I dislike about their company or their service. It is beyond excellent. I would absolutely recommend ThriveHive to any company large or small, that is looking for an excellent company to work with and make a strong and successful business statement online. They have very qualified customer service and tech support people, as I have called several times and have had excellent assistance each and every time. The business problems I have solved as a result of ThriveHive is to realize my goal of making money on line to overcome my health limitations of maintaining a brick and mortar company. The benefits that I have realized; is that it has enabled me to become involved in a career again, that I not only enjoy, but have made a profit at. "I'm so glad ThriveHive found me!" I've been a ThriveHive customer for five months. I signed up for the platform that included access to a marketing coach. I wanted to see if the money and time I was spending on marketing my chiropractic clinic was driving any business my way. I did not think that I'd stick to paying for the coach more than the initial three months but I have found the ongoing communication with my coach to be such a help! My coach has inspired me to push myself and my biz marketing in ways I've been unable to do on my own. So thank you!!! I've had a few frustrating bugs to work out on the Thrive Hive platform... namely their email newsletters and auto-responders. But overall I LOVE working with my coach Brian and the support team. Do yourself a favor and sign up for the plan that includes the marketing coach. I launched a beautiful new custom website that sets me apart from the competition. I had been using a generic mobile responsive chiropracic website service when I started with ThriveHive. After three months I realized I needed something unique. I have a marketing plan! (rather than a run by the seat of my pants approach) I have data! Wow. I am using tracked phone lines on all my social media channels, online directories and google as well as with the mailers we do. It's great to see where the calls are coming from. "ThriveHive Has Rocked My Online Business!" There are so many areas of ThriveHive to list, it is difficult to choose just one! By far, the marketing expertise shared by my Marketing Coach, and all of the staff at ThriveHive, has made a huge difference in the conversions on my site. The Marketing Plan in the dashboard is amazing! It provides articles related to the areas I need to work on for my website and notes and suggestions from my coach. The Coaching calls have been instrumental in taking my business to the next level. This seems like a trick question. ;) The only thing I dislike is that I did not find ThriveHive sooner. 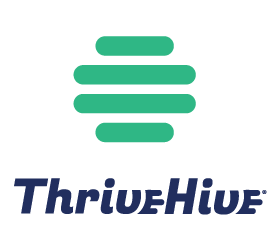 If you are looking for solid support, coaching and marketing growth for your business, call ThriveHive to see what they can do for you. The free, live demo will answer all of your questions and you can decide from there if it is for you. Don't put it off. I wish I had started with them sooner. My initial purpose in contacting ThriveHive was to increase conversions of website visitors to leads. Within 6 months of working with them, my conversions increased by OVER 200%! I now have not only a much better and solid understanding of SEO and the importance of Calls To Action, but also how to implement them for my business in ways that are helping my business to grow to the next level! The best part is my businesses increased nearly threefold. I find my search rankings in the first three spots most of the time. The web site design provided was very practical although it did not have the glitz and gloss of comparable websites in my industry, but it did the work. Changes are always done promptly and within a day. The blog entry functionality with a provision to post on Facebook and Twitter simultaneously is awesome. Sending out emails to clients is also easy and with great tracking tools it is possible to track how many people opened their emails and visited the links on the email. Having the ability to have conversations with clients; prospective and registered, recorded is a great plus. Sometimes text entered can go wacky; lose its formatting. It means having to call/email support. Again, most requests are attended to and rectified within a day, so not really a dislike. However, it would be nice to have an interface to work with while having to enter a html snippet or paste a photograph etc. "Good quality and value for a small business "
The platform is simple and easy to use. The support is fast and friendly when there are issues. The pricing is pretty good given what you get. The individual specialized attention when originally designing the site and with the ongoing market support is great. The monthly consultation has been extremely helpful in growing my online presence and making sure I keep my website going in the right direction. Not much. As a few others have said they could beef up some of the options in the email marketing. There are also some gaps in some things you can put on your website, such as they can't do a "+1" button, they only recently added a InShare button and things like that. Fairly small critique and I know they are working on some of them. Definitely talk with one of their consultants about your needs and desires and listen to what they can offer. They do listen to what you have to say and will tailor the recommendations to your criteria. ThriveHive has helped me build a respectable website that has started to get good traffic and real leads. I still have a long way to go to get where I want to be but my monthly consults with Adam have been very valuable and continue to improve and refine my strategy to improved results. Where shall I begin? I like the regular meetings and that we have an agenda with tasks and goals. I like that when I hit a stumbling block Adam listens -- and finds a way around the issue. At the end of our session I always, always come away with a tip that will help move our company forward. Everyone on the Thrive Hive team is responsive and the "help" tab is truly helpful--with someone emailing or calling very quickly. I like the option of attaching a unique phone number to a campaign that helps us track activity. There is nothing that I dislike, the staff and service are perfect, however there are a few things with the site itself that could be better. One of my best business decisions. We hired Thrive Hive to help with marketing and what they have done is show us ways to get noticed. Little tweeks to our website, text, tagging, page layouts, social media, links -- the list is long. "Thrivehive has outstanding customer service"
I recommend Thrivehive to everyone who is looking for website solutions. Not only do they customize a website and marketing tracking solutions and so much more for you, they have the most incredible team. I work closely with Adam Blake on marketing techniques on a monthly basis. In between meetings, when I have questions, their staff, I mostly work with Daniel Kelly, return my emails or call me immediately to help me with any questions I might have. Also, it's important to me when I refer someone, that they are taken care of right away. Jason Dolan immediately responds and helps everyone that I refer to the program. Everyone feels that they are being given specialized attention. I couldn't feel more comfortable with the team. I have 3 websites with them and I'm thrilled with all they offer. It costs what I view to be a minimal amount to get a website and backend lead tracking, email and so much more platform. I was paying double the amount and I didn't have a marketing coach to meet with every month. I have everything in one place and a coach. I refer every business owner I know to Thrivehive. "Thrivehive is the "Rock Star" of Internet Marketing"
The Thrivehive team have made a huge difference in our internet leads. We are getting telephone calls from all the major marketing areas, NY, CA, TX... everywhere. We we getting no phone leads before asking Thrivehive to takeover our marketing plan. And, it's not just the effective marketing plan, but also the prompt courtesy of a reply or solution to my questions or website issues. You guys are undoubtedly the "Rock Stars" of internet marketing. Glad you're on my side and not my competitor's. Thank you Thrivehive, all of you, for caring about my business. Are you kidding? What is there to dislike? Getting leads to grow our business and be competitive. "ThriveHive will help you grow your business." The system ThriveHive uses to grow local business is fair, honest and more importantly effective. They're list of services is flexible and at each step it works. They understand entrepreneurial needs and work effectively to reaching profitable goals. I am completely impressed and amazed at what they have to offer. There is nothing not to like about ThriveHive. No gimmicks, no strings attached. Just results. If you need help with a local business and. we looked at many, ThriveHine is the best alternative. When we first engaged ThriveHive our business was down month over month for 2 years. We initially went back to the things that helped us succeed initially but it wasn't working. The business environment has changed with the digital world. ThriveHive helped us catch up. I chose ThriveHive because they specifically cater to small businesses like mine and they have been very prompt at assisting me, starting with a re-desgined new website. It took us only 3 weeks to transfer content from the old website to the new one and make it look way better. This could not have been possible without the help of Victoria Elliott. She did not only work hard to make it happen so quickly but she was also very flexible to interact with me and get things done. Efficient, precise, professional and patient are only some of the adjectives to describe her work. Grazie!!! Another big "grazie" is to Lauren Quilty who assisted me from the beginning. I did not dislike anything and actually I'm getting better at using html for coding. New website and looking forward to learning more about Marketing applications for my small business. I like the one on one coaching advice. You get someone who will guide you through success month by month. Your business will steadily grow by staying persistent through their advice. They also have a quick to action tech team. Nothing much to put here. This company does a lot to make sure you like what they are doing. Thrivehive is a great inexpensive marketing solution that will really transform your business especially if you are in your infancy as a business. I'm getting more leads and ranking higher in google. ThriveHive is a great platform for businesses to advertise through social media because it links to FB ,Instagram, Twitter, YouTube .. and is very convenient to use! I wish that the website was a bit easier to edit but the IT Support is awesome and will help make any changes necessary. We are seeing a lot more response from our posts on social media, also it keeps track of visits to your site and lead generation. "Easy to use & solid marketing solutions"
Online platform is very easy to use. I like having easy access to everything all in one place. Customer service is excellent - friendly and always quick to solve any problems/issues (not that there are many - there aren't and usually are user error). I would highly recommend ThriveHive to other small businesses that are looking to sharpen their marketing efforts or need help with their marketing. They have really help our small school and greatly reduced my work load. Their customer service is phenomenal as they are always quick to respond to questions and/or problems and find solutions. They have been very friendly and easy to work with. I have referred them to other businesses in my local area as well. Can tailor my marketing efforts, have been able to learn more about FB advertising, getting more bang for my buck for my advertising dollar, have seen my school's enrollment grow faster this last year that I have used ThriveHive than in the previous 2 years that I was director. I can see where my audience is coming from and what search terms they are using without having to learn google analytics. I like the dashboard that provides my business with information to track results of our marketing activities in one snapshot. I also really like the individual coaching calls I have with Adam. His expertise on current marketing trends is invaluable. I don't know if this is a dislike, more of input. Although the feedback and suggestions I receive from Thrive Hive is fabulous, I still need help for someone to implement those activities in my business. That would include social media posting, blog articles, website updates. Not a big deal, but this is definitely an area where I need to engage the services of someone else to help me outside of TH. We have really seen a growth in organic traffic coming to our website and receiving qualified lieads since consistently engaging in the recommend activities. I discontinued any print advertising for the first time in 15 years so I could focus on internet based resources. They quickly identified the issues with my site not getting much traffic, fixed what they could on their end, and taught me what I could do on my end to get more traffic. Success was almost immediate! There has honestly been nothing that I've come to dislike in my 2.5 year relationship with ThriveHive. People are finding me online with ease. When ThriveHive took care of my SEO and told me of changes I could make, and things I could do for better SEO results, I almost immediately gained more business. In just 4 months time after signing up with ThriveHive, I was able to quit my part-time job and focus on my small business full-time! "Excellent customer service and direction"
Client support is fantastic. The Thrive Hive team has always been prompt and helpful to help us get the most from the service and is open to feedback. The program is fairly easy to use and not overwhelming. The contact manager needs work, but I understand they are working on it. Simple tracking of who is really active on our website, tracking social media activity, getting a marketing focus and our website update. Thrive Hive keeps things simple and manageable. I don't feel over-whelmed. I like tracking my numbers and having a strategy each month. A monthly check in is important to stay on track and grow. They are very responsive to all questions. Tracking where business is coming from so I can generate more leads. "Adam keeps me in check!" I can be very honest with Adam. He understands my business and the results I am looking for. He also knows what I excell in and offers ways to help where I do not. My favorite skill of Adam is that he is always on the up and up of social media, SEO and all of the constant changes. I hate having our meeting when I haven't done anything from the last meeting. I dread those calls, but he will put me in check and we write a new list of things to do. They need better creative arm. And 10 Adams may also be helpful. I lack the time to write in my blog, send mass emails, etc. I have realized that I need to make time for these tasks or hire someone to do it for me. "Great company to work with and grow with"
They are very interested in learning about your business and helping you grow a web presence at a very affordable price. They are committed to the long term success of your company and more of a partner than a marketing provider. Attracting more prospects to our website and converting them to clients. Learned a lot from ThriveHive about inbound marketing and what not to do. "Engaged with ThriveHive to help build small boutique law practice"
ThriveHive has helped me gain control over my marketing efforts, incorporating different facets of both traditional and new media marketing. The ease of use and user interface are impressive and having everything together in one dashboard is great. Perhaps the best aspect of my subscription with ThriveHive is the stellar monthly appointments with ThriveHive's marketing gurus. Their input and guidance has helped me tremendously and given me renewed confidence about where my practice is heading. Not much to dislike. I think there will always be opportunities to continually improve on the range of new designs and perhaps more design/web features going forward. ThriveHive helped me gain control of my marketing, and is helping me by giving me direction and strategy. "Simple Easy to Use Platform"
Website is easy to use and easy to change items. The staff is friendly, helpful and knowledgeable. This is my second website with Thrivehive. I will continue to use and recommend. I do not have anything that I dislike about this product. Marketing, connecting and selling. Have not calculated the benefits realized as of yet. "Customized solution for my small business"
Thrive-Hive is not your "run of the mill" web site creation factories. The product is CUSTOMIZED by skilled marketing representatives. My marketing associate interviewed me and asked insightful questions about my business and business goals. He took copious notes and followed up with a marketing plan including Thrive-Hive services that would assist me in meeting those goals. The "back-end" statistics helped him to assess how the web site and plan was tracking . A great feature that Thrive -Hive includes is coaching the small business owner. Oftentimes this is the client's first entrepreneurial venture and my representative encouraged my efforts in our interactions. I would definitely recommend THRIVE-HIVE to the small and medium size business owner for all the above-mentioned reasons. They are literally a BEE-HIVE of ACTIVITY! Thank you! I would like to stop receiving leads from printed directories which is not an effective way of promoting my business. I would like to be found on page 1 or 2 of Google. My representative discussed this with me and asked me to consider changing my business name to better reflect the nature of my business. I agree and will be working with him to accomplish this. I believe the strength of Thrive-Hive is filling the niche market of the small and medium sized businesses. I hope this will always be the cornerstone of your company. This is a superior product that is perfect for many and varied types of businesses. KEEP HOVERING! PROBLEMS SOLVED: Description of my dietitian private practice ; Ability to Blog and therefore drive people to my website for reliable nutrition information; Description of additional nutrition services available to groups and employers. We are very happy with the "all in one" web support ThriveHive provides. It's great to be able to manage our site AND have reporting in one location. The technical support is awesome. We would like to have more design options for our email messaging. With ThriveHive we now see who is coming to our site, what they are most interested in, and how we can use that information to engage more people. Previously we did not have a good handle on the analytics, and this service has helped us understand and learn more about the tools available to grow our business in the digital space. "Tailored & Easy to Use"
ThriveHive is easy to use, intuitive, and the employees are always quick to respond and help if we ever encounter an issue. Our monthly meetings are essential in keeping our marketing goals on track and they always come prepped with suggestions on ways to improve. There aren't many features in the blog settings to help with formatting and stylizing the posts. We have been working hand in hand with ThriveHive to increase traffic to website, leads, and SEO in our surrounding towns. It's evident in tracking the progress that their feedback & guidance has been essential in making this happen! Having a dedicated Marketing coach. Our Marketing Coach Tim Barton has an abundant knowledge on all things Marketing, and is available whenever we need him. He goes above and beyond to ensure that all our marketing initiatives are carried through to the end. There is nothing that I disklike about ThriveHive. Marketing. Before ThriveHive we were missing out on several critical marketing opportunities. "Finally an SEO service that delivers"
Two words - Adam Blake. ThriveHive has been a terrific platform, helping us to generate inbound leads and produce real, sustainable SEO results. It's our monthly conversations with a real live human being - who also happens to be a super smart one - that puts this service over the top. Adam's ability to communicate what's gong on each month is invaluable. We are always able to leverage that information to improve our SEO and, in turn, our inbound leads. The email creator could use a little work. Increased inbound leads and targeted search engine placement. The ability to bounce ideas off the coach and get the feedback that confirms your efforts are being best applied. There is really not put I do not like about the relationship, it's been good. You can do it too! Just follow the program. We have been able to create a managements system for all the leads combined with marketing automation which makes life a little easier. "BIG BANG FOR YOUR BUCKS!" Knowledgeable, organized, detail oriented, effective interdepartmental communication, patient, responsive, supportive, timely, productive, need to provide above satisfactory customer service! Sometimes when we update information on the website another surrounding piece of information is effected, however, it is easy to readjust. Make sure you understand SEO and how much you want on your site before having your website re-designed. Driving more customers to where I want them to go and engaging them more.